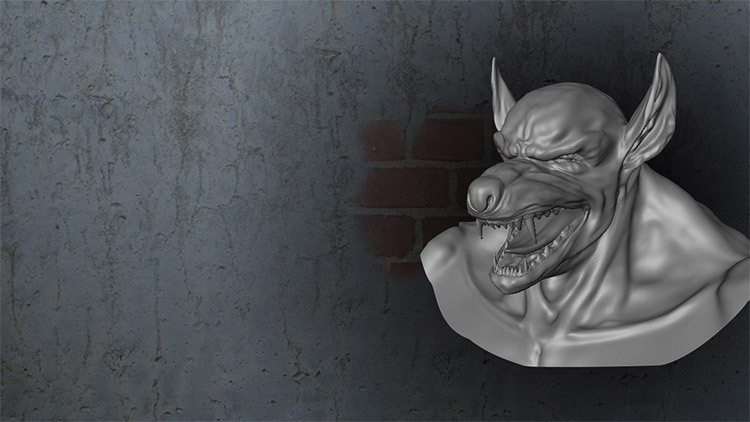 The Mudbox software is a must-learn for anyone getting into digital sculpting. 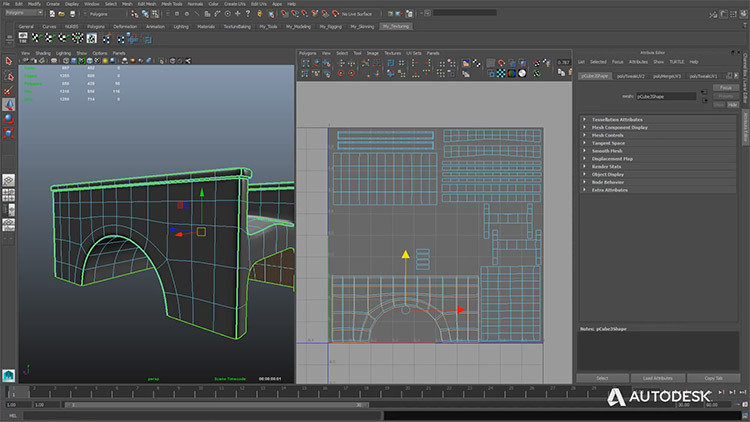 It’s owned by Autodesk and it’s a proprietary program used by many professionals in the entertainment industry. It’s mostly used for 3D modeling, 3D digital painting, and tasks like texturing & sculpting. 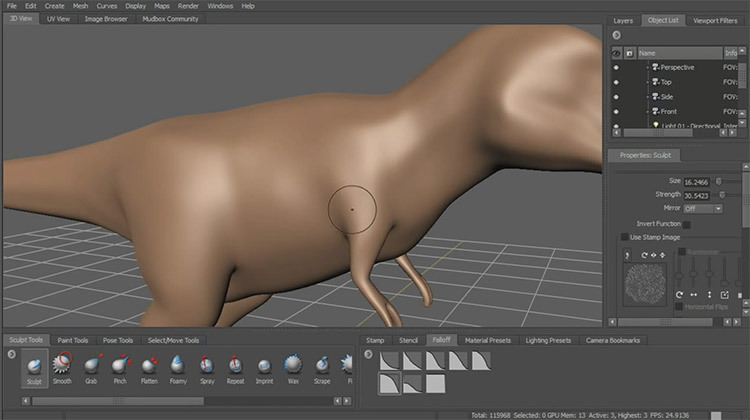 Many artists learn Mudbox along with other programs like Maya. But if you’re brand new it’s worth picking up Mudbox and tinkering around. These tutorials should get you on the right track. Not everyone has a budget or wants to spend money on courses because quality can vary drastically. That’s why free courses are often best and that’s why I’m starting this list with my recommendations for freebies. If you search YouTube you can probably find some others but these are my top 5 free vids for newbies learning the software. 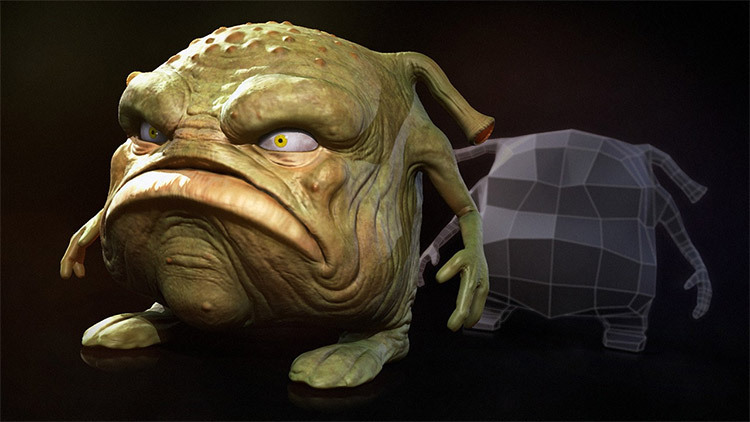 Mudbox for Beginners is a 35-minute introductory tutorial created by the Autodesk team. 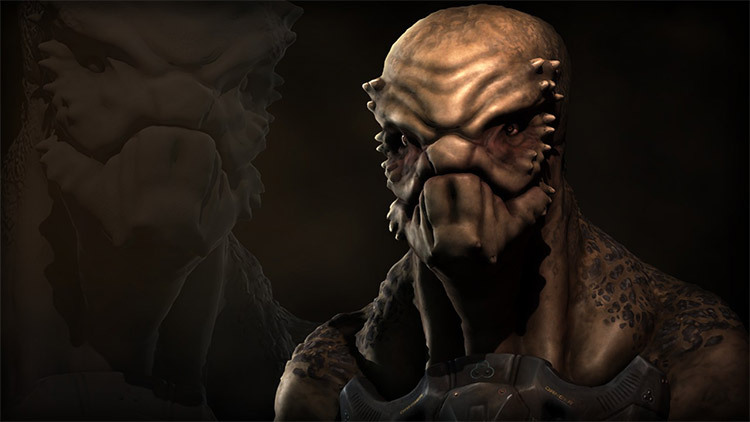 3D generalist Paul Kind teaches beginners how to dive into Mudbox and start learning the ropes. It’s hosted right on Autodesk’s primary YouTube channel so you know it’s a great resource. The quality is superb and while it can feel a little short, it’s also very detailed and perfect for someone with zero experience. Anyone who needs some guidance around the Mudbox UI, the features, and the workflows should start here. 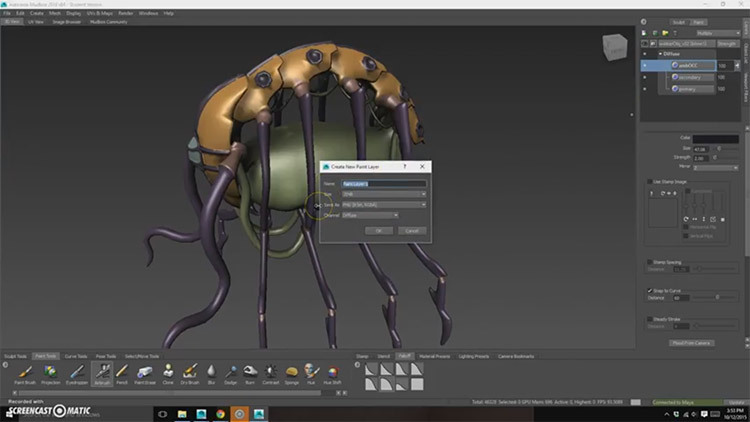 Here’s another video by Autodesk that works very well for beginners. It’s a practical lesson covering Mudbox sculpting with a few techniques for beginners who have no idea what that process looks like. Again this is really just an intro guide and it’s by no means a complete course. Beginners should use this to get started but I really think paid courses are the better way to go(once you can afford them). But you might check out some of the recommended videos in the sidebar too. Most of them work well for learning the ropes and picking up little tricks in Mudbox. 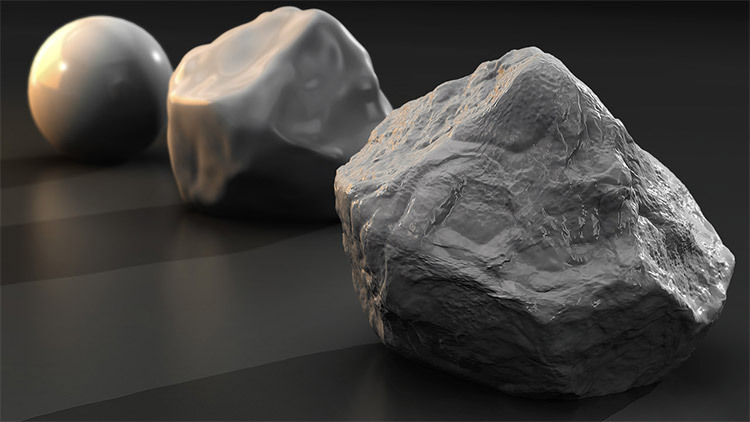 Here’s an excellent guide to the process of sculpting with a practical example. With this video lesson you’ll learn how to sculpt an iron axe from scratch in Mudbox. The process is very technical but it’s also easy to understand once you’ve gone through it a few times. Anyone looking at 3D as a career might also like our collection of sculpting books too. But I always prefer video tutorials over books with art & software so it makes sense to start with a tutorial like this. Hoping to get into environment art for video games? Then this video is a fantastic place to learn what the process entails. It’s only 18 minutes long and again it comes from the Autodesk YouTube. Their channel is packed with awesome advice and it’s one of the best channels for learning a pro production environment. Many game studios do use this software so it helps to understand the basics. And if you can teach yourself then it’s something you can put on your resume when applying for work. A lot of people think digital painting applies to 2D concept work but there is another side of it with 3D painting. 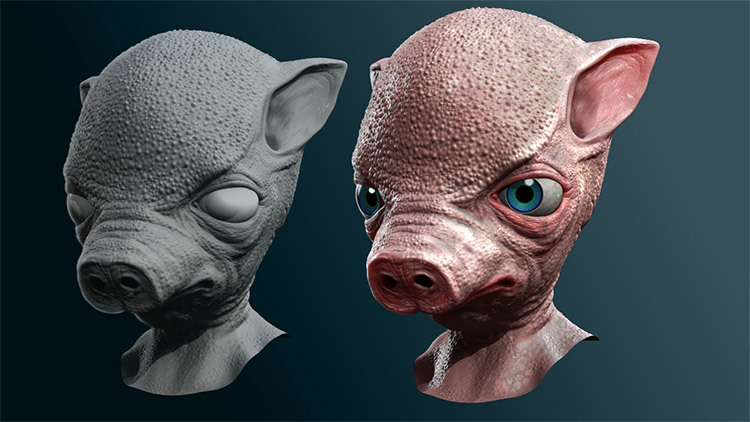 You can learn more in this brief video which explains the process using Mudbox. It is a couple years old but the oration is fantastic and it’s very clear on everything. Great place to learn about digital painting for 3D work and even 3D animation if you want to go that route. Now let’s dive into some of the premium courses available since there are a lot out there. Mudbox is a specialized program meaning you probably won’t need to learn it until you realize it’s useful. Once you know how useful this is for concept work you’ll want to find the best quality tutorials that cover production-level pipelines. For that I recommend Pluralsight because it’s so detailed and offers dozens of courses on this very topic. But I’ve whittled down some of my favorites for this list and they each cover the 3D software from a slightly different angle. A natural place for any beginner to start is Your First Day in Mudbox by Justin Marshall. It’s ~2 hours long and covers a lot of the basic tools through practical examples so you can see how these work. You’ll learn about basic geometry, sculpting creatures, and digital painting for a polished look. Smaller topics are covered like texturing and blend modes but they aren’t used in great detail. The goal of this course is to get a complete beginner up to speed with all the tools and processes in a Mudbox workflow. And for that purpose this course does a fantastic job. Not to mention Pluralsight offers a free trial so you can test these videos for free and decide if they’re worth subscribing to or not. Now here’s a slightly older course also on Pluralsight but geared towards beginners. 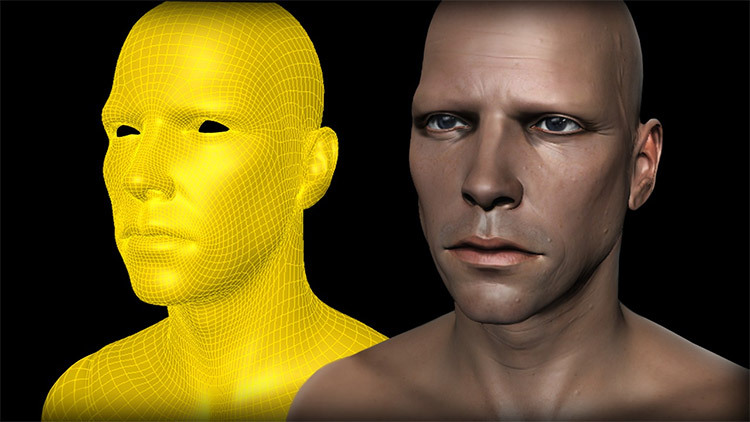 Introduction to Mudbox 2015 covers a lot of the basics with an older version of Mudbox. All of the core concepts are still the same so there’s still a lot to learn from watching these videos. The entire course totals over 3 hours long and it’s even more detailed than the prior one. If you have the time I’d recommend going through both since they cover similar ideas, but teach them in different ways. Looking to learn more about 3D painting? Then you’ll definitely want the Painting Workflows in Mudbox course. It’s also a couple years old but the teaching style is phenomenal. It’s geared towards beginners so you really don’t need to know much about Mudbox to get it working. You’ll find exercise files along with step-by-step lessons that teach you how to use the program for painting. With so many different painting tools it can be tough even knowing where to start. But with this course you’ll have no problem learning the ropes and getting comfortable with the 3D painting process. I’ll admit this is one of the older courses in Pluralsight’s library. But it’s also geared towards a very specific audience: people who know how to draw/paint and want to move into 3D work. The Artist Guide to Mudbox totals 3 hours of video content and it’s one of the more detailed intro courses. Much of the language relates to an artist’s process so you’ll be learning about 3D with terminology you understand. But the downside is this course dates back to 2011 so it is a few years old. If you can look past the slightly outdated interface you can still learn a lot and even combine this with other courses in the library. 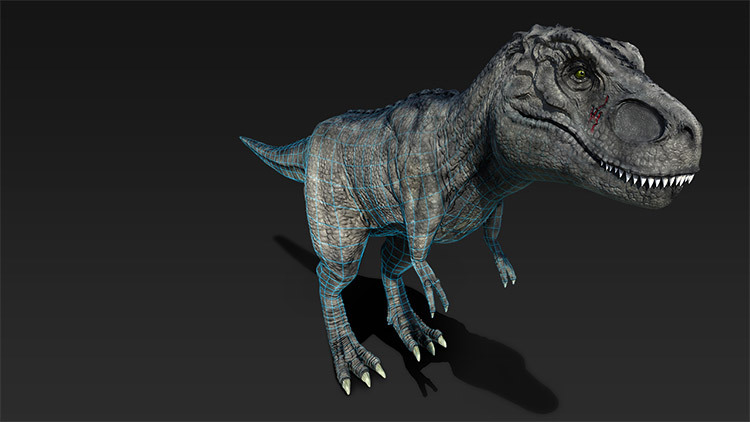 Texturing is a whole other ball game with Mudbox although it’s still pretty simple to learn. With this course you’ll pick up the basics of 3D painting and how to combine it with texturing. It’s an intermediate-level course but you really only need the fundamental basics of Mudbox to get started. You’ll learn not just the process of painting but also all the tools and typical workflows required to make great 3D work. By the end you should feel very comfortable with texturing and painting with enough knowledge to create your own projects from scratch. Now this course builds onto the previous one and takes it a few levels higher. 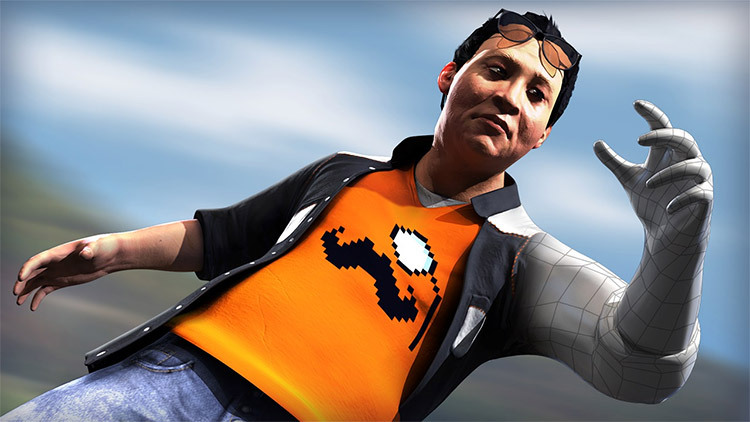 Texturing Game Characters in Mudbox teaches you how to design complete characters in Mudbox with texturing and painting for a final finish. This massive course adds up to almost four hours of total video runtime which is one of the longest in this entire list. You’ll learn how to stage characters, refine your molds, choose the right colors and create fabrics that look real. Anyone serious about game design should try the Pluralsight trial and check out this course. It’s a fantastic way to build up your portfolio and your confidence in Mudbox. On the other side of the spectrum is props & weapons design which you’ll find in this video course. 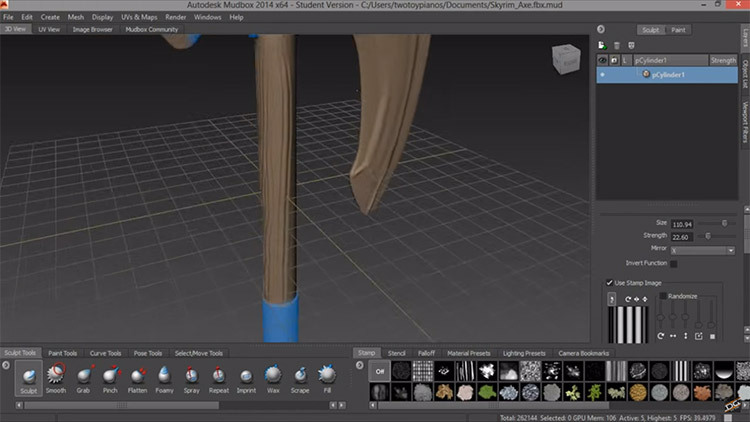 Note this uses both Mudbox and Maya to create various weapons like swords. The workflow is also a little different since this course was recorded back in 2009 and it’s pushing almost a decade old. Yet despite its age the contents feel fantastically relevant. 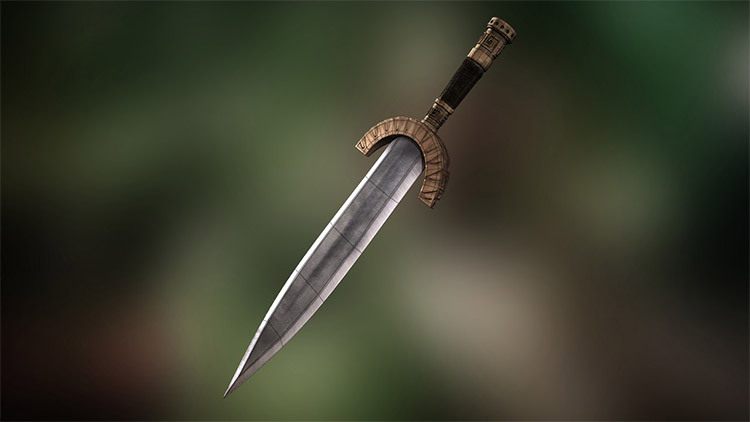 Absolutely worth your time learning if you have the desire to get into weapons art for games. Here’s a video course that’s real short and real sweet. Tips and Tricks in Mudbox is meant for advanced users but I think anyone with semi-competent skills could pick this up and learn a lot. It’s a guide to the best tips & tricks for Mudbox workflows to help improve productivity and create some amazing 3D assets. There’s another similar course Sculpting Tips and Tricks in Mudbox which follows a similar pattern but focuses more on sculpting techniques. If you can already work in Mudbox comfortably then check out these tips courses. They’ll kick you up a couple notches and teach you how the pros work this software. 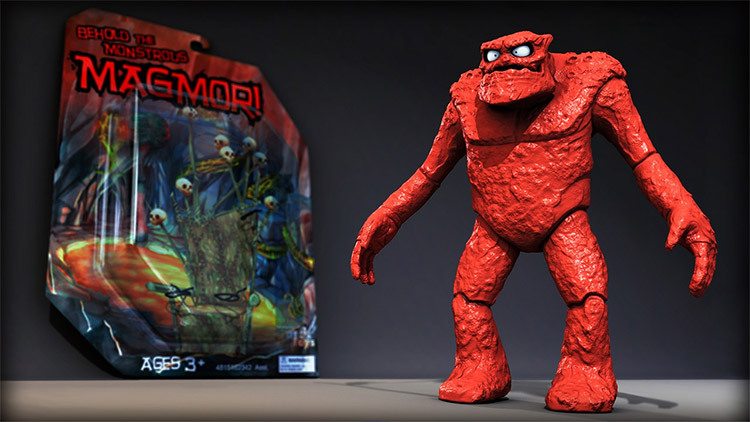 Some artists may already have experience using ZBrush. It’s one of the best programs for game design and concept art with tons of reading materials for beginners. There’s a lot of overlap between ZBrush and Mudbox which makes this video course an excellent place to start learning. It only requires a copy of ZBrush and Mudbox to work through all the lessons. 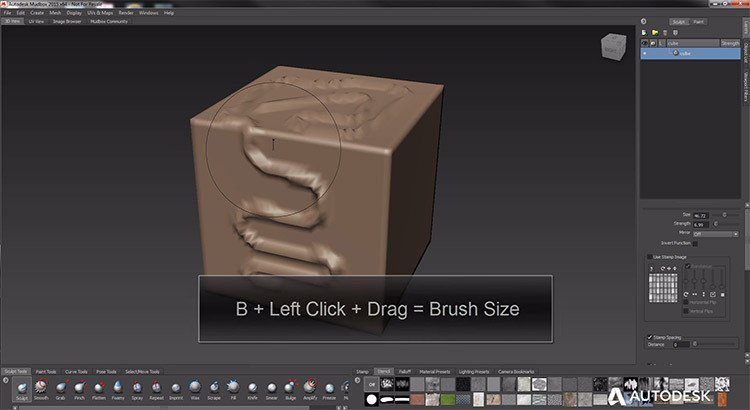 If you have both programs then you’re golden and you’ll learn how Mudbox works by connecting it to the ZBrush workflow. An excellent video series for anyone who’s familiar with ZBrush and wants to move into Mudbox fast. When you’re creating environments there’s a lot that goes into the rendering process. You’ll need to create trees, rocks, rivers, grass, almost everything in the environment requires a sculptor. Thankfully the course Environment Techniques in Mudbox is a great guide to the process with a focus on individual elements. You’ll learn how to create both interiors and exteriors by quickly sculpting objects and scenery. This is not a perfect course but it is one of the best you can pay for to get started. Not to mention it comes in the Pluralsight library so it’s just one of the many courses you get access to. 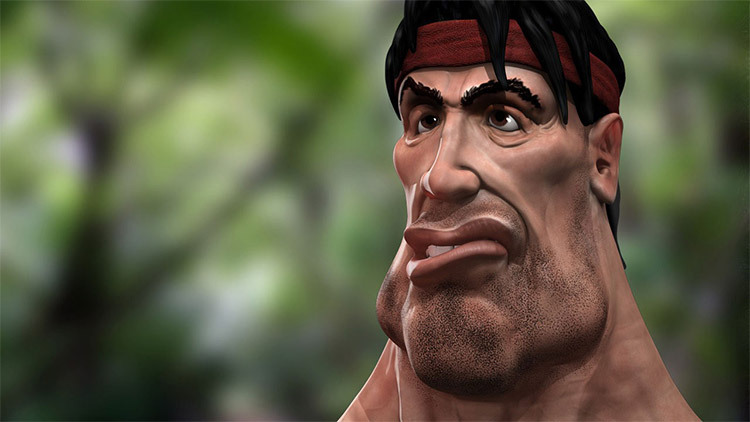 Last but certainly not least is the course for Creating Caricatures in Mudbox. Granted I realize this is a specialty course and may not apply to everyone. There isn’t a universal need to create caricatures and use them in games or 3D animations. But many times in this industry you’ll be asked to stylize characters or work from references. This course makes it easier to learn and work with exaggerated characters using the Mudbox sculpting tools. I recommend pretty much all of the Pluralsight courses because they’re so detailed and you can get them all on a free trial period. But if you’re looking for more check Google and make sure to always keep practicing if you want to improve.